What is the best way to print digital photos? The advantage of digital camera is that you can take thousands photo and you don’t need to print them. You can delete them straight away. In order to check the quality of picture, check them on larger screen such as your PC, you can judge them just by looking on your camera or smart phone because the screen is too small and this can be misleading. You can use editing program: most digital cameras come with a CD that has simple software. Or you could just download it from internet. Most have a straightforward enhance option that can improve quality of your picture. Once you are happy, you can save the photos back onto your camera, burn them to a CD, put them on a flash drive (a small stick) or download them to cloud. Although this is easy process and convenient but it is very expensive and final products would not be same as professional photography printers. For small size photo or picture, a in house printer does the job. But if you want to print a big photo then an inject printer is highly recommended. Although the quality may not be the same. Of the small printers, consumer group Which? recommends the Sony Picture Station at £182 on Amazon.co.uk for good quality prints. However, this can’t be used with Apple computers. 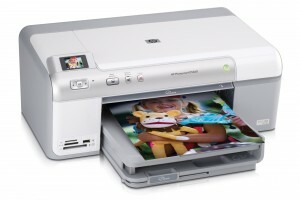 For inkjet printers, it suggests the HP Photosmart D5460, which is £50 at Asda. The biggest expenses of home printing is the cost of ink cartridges and paper. Now days they are printers don’t use cartridges and they use Eco tank which is cheaper to replace. Save money by printing several images on one page.Go to ‘Print Setup’ on your computer and choose a size. Shop around before order paper, they are several site who sell papers, always check sites on pages 2 or 3 or even page 10 of google, google is most likely to present you with the biggest company in first page while small business is likely to be more competitive due to overhead running cost.